Lokar's "U-Cut-to-Fit" Hi-Tech Kickdown Cable features a black housing. They are designed with a specially extruded liner for extended life of the cable – not to be confused with ordinary brake hose. Kickdown features aluminum fittings with ferrule to eliminate frayed cable ends. Kickdown cable is adaptable for all types of manifolds including tunnel ram, blower manifolds and Weber induction systems. 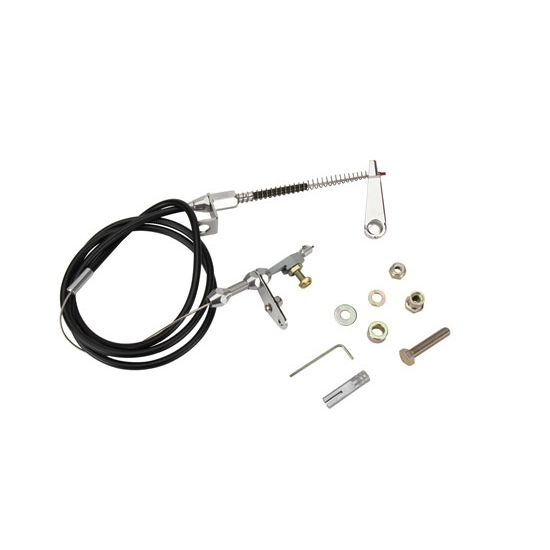 Mount the kickdown with a Stainless Steel Carburetor Bracket and Return Springs (sold separately). Complete instructions included in kit.